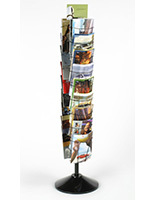 These Magazine Racks for Advertising Publications are Spinning Displays! The Pockets Revolve Around the Base for Easy Viewing! 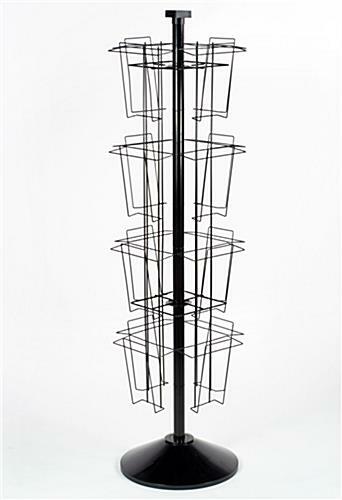 Buy Open-Faced Magazine Racks from the Web for Less! 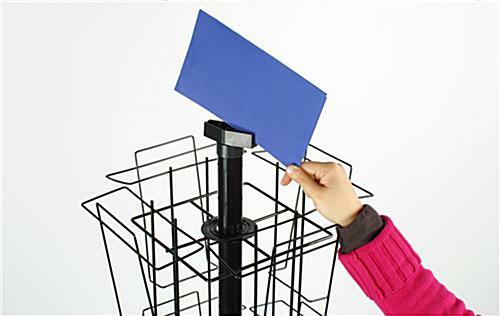 These magazine racks are designed to allow for quick rotation and browsing. Each is crafted from high quality wire for enhanced durability yet the construction keeps the overall structure lightweight. 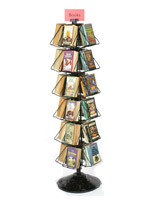 These literature holders, magazine racks are finished with a glossy black color to ensure they blend well with every setting. 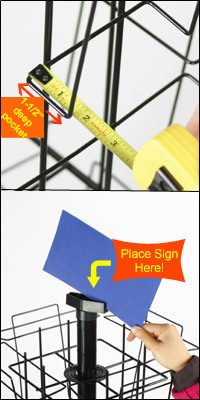 The literature holders feature (16) pockets that are sized for 8-1/2"w x 11"h inserts. 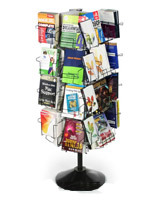 The display stands, magazine racks are most commonly used to showcase magazines, flyers, and other important publications. 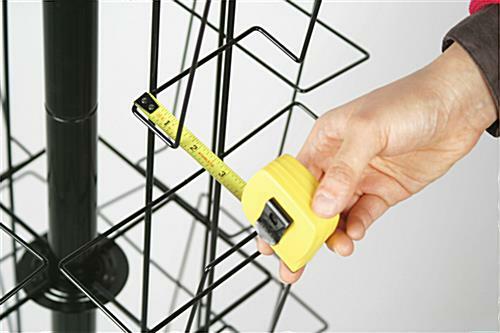 Finding economical yet versatile displays for exhibiting publications is not always easy. 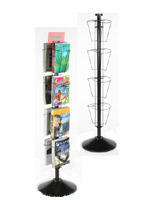 Luckily, our company offers these magazine racks at affordable costs. The stands come equipped with a sign holder at the top for labeling selections. Just design a customized insert to direct patrons over to the magazine racks. 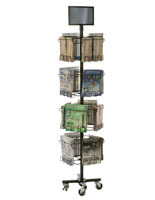 The dynamic design of the holders is suitable for fast-paced environments, including travel agencies, visitor centers, waiting areas, supermarkets, and drug stores. 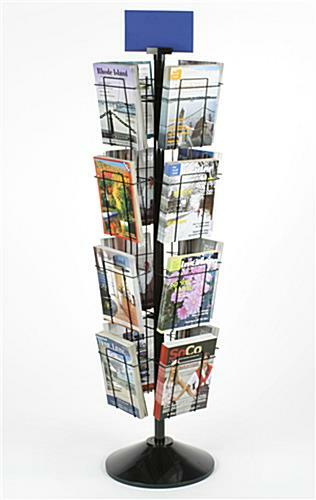 The magazine racks are shipped unassembled to cut down on transit costs. Assembly is completed in just a few minutes with the included directions. 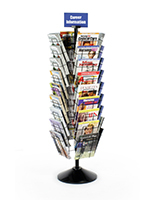 Buy the versatile yet cheaply priced magazine racks today! 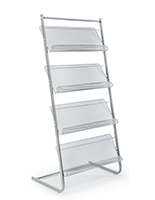 20.0" x 59.0" x 20.0"
8.8" x 9.5" x 1.5"